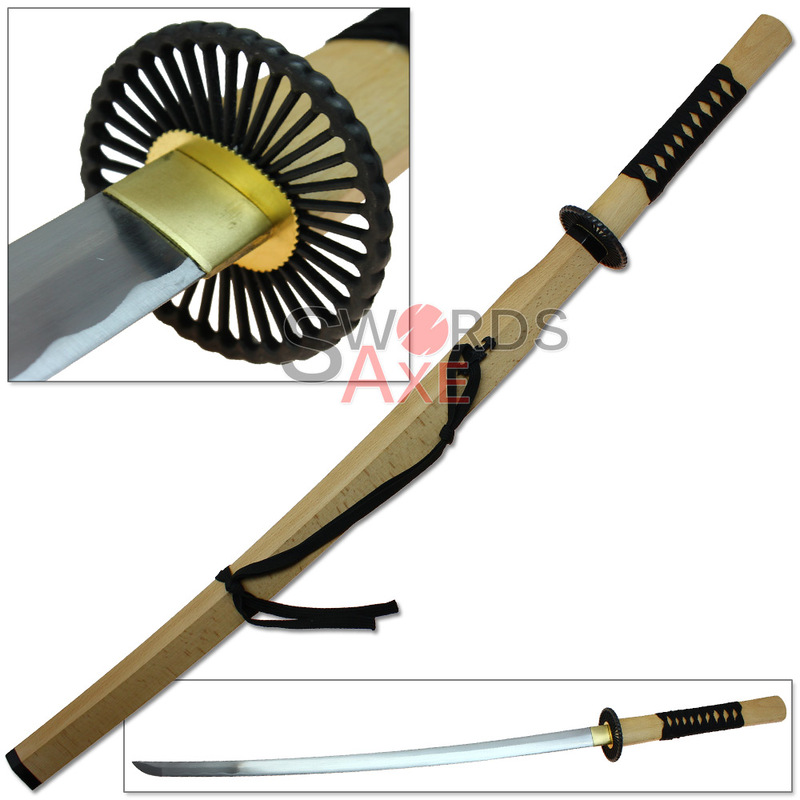 All smoothly finished hardwood houses this functional 1060 high carbon steel Katana blade, and provides it a very unique sword mounting style. 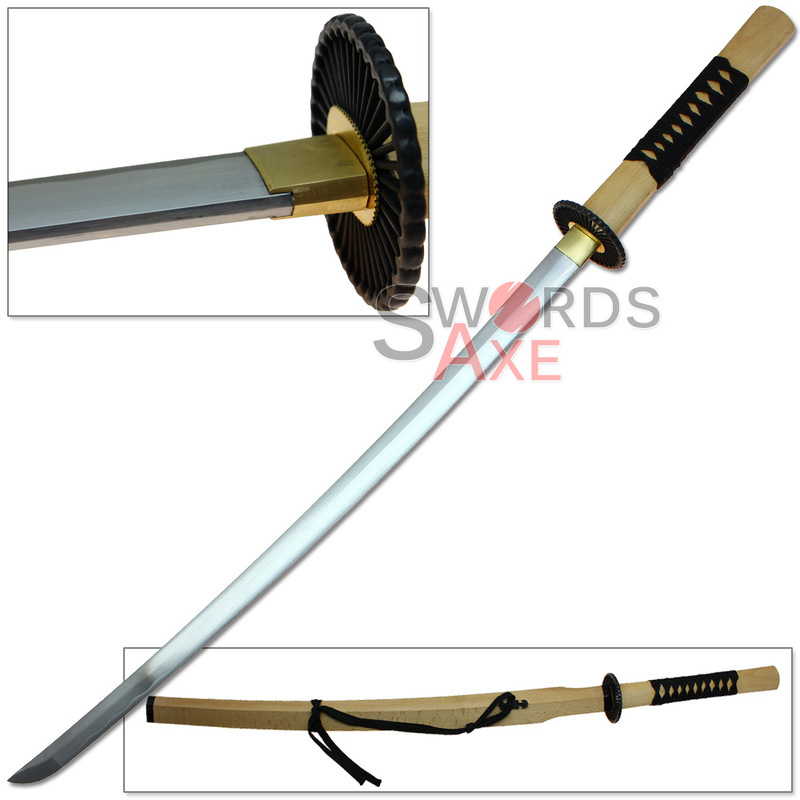 The blade is very sharp and forged in a manor made to cut with, including bamboo mat testing and other hard or soft targets. The handle is simple in design, using the same matching hardwood as the Saya, and having a black nylon handle wrap for grip. It is almost as if this katana blade was placed into a Shirasaya (plain wood scabbard) with a Tsuba and the handle was wrapped. 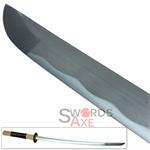 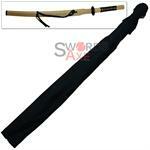 However, you will notice the Saya is very unique in shape and size, plus has a different style of Sageo. Please note this is a functional sword blade and the handle wrap is actually considered unconventional.